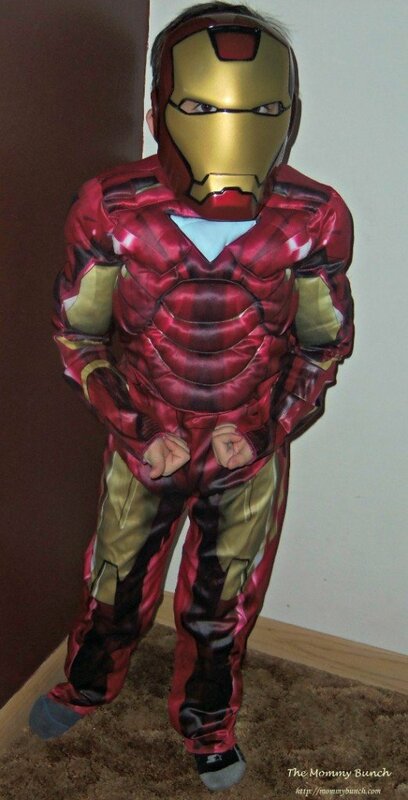 We found this awesome Iron Man costume from Anytime Costumes, and he was just thrilled to put it on and run around the house as Iron Man! I love getting costumes online because you can usually find a pretty good deal. Anytime Costumes is great because they have a huge selection, and the overall quality is pretty good too. I do find that no matter where I shop, the costumes do tend to run a little small. I had actually ordered a size larger than I thought I would need just for this reason, and it was still snug on him. My suggestion…if you are ordering a costume, make sure to get at least one, if not two sizes bigger than you think you need! We are all set to go watch the movie as soon as it comes out….will you be watching? Let us know your favorite Avengers character in the comments!